We build custom cabinets and furniture, and do Millwork for Residential and Commercial projects. Utt Construction Inc. builds custom cabinets and furniture, and does Millwork for our Residential and our Commercial projects. We use your architect's drawings or a team member can meet with you to design the job to your needs on our cabinet designing software. Cost is determined by design, style, and material, so we can help you choose what is right for you! We will build your cabinets on the computer to show you the design plan and all elevations, and can advise you on cabinet hardware & accessories. 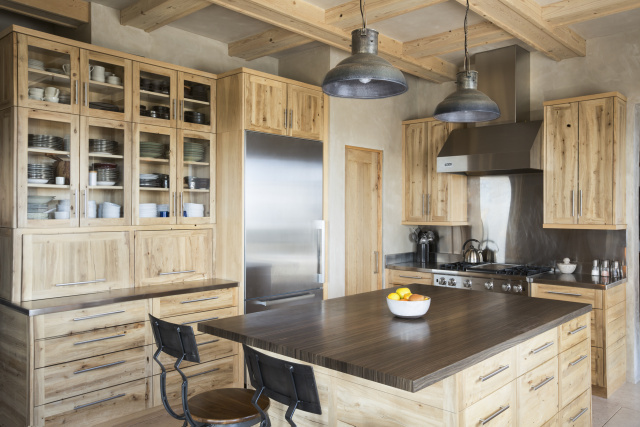 We supervise the design, fabrication, and installation of the cabinetry throughout the project and will help you any way we can. We also can offer you pre-finished cabinetry for projects where finishing on site is either difficult or a nuisance. © 2016 Utt Construction, Inc.